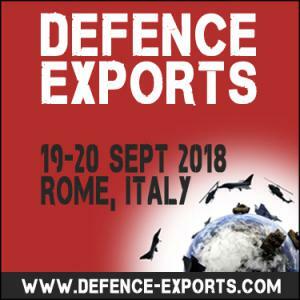 LONDON, WATERLOO, UNITED KINGDOM, June 28, 2018 /EINPresswire.com/ -- SMi has released seven key reasons to attend the 13th annual Defence Exports conference, taking place 19 – 20 September 2018, in Rome, Italy. This year’s event is set to provide delegates with in depth analysis of the Wassenaar Arrangement, Latvian’s Export, Import Controls, and much more as leading military, government and industry experts gather to discuss globe trade compliance efficiency. The two-day meeting will provide attendees with the opportunity to network with leading lawyers, consultants, industry professionals, and government officials involved in arms controls and export compliance from all over the world. 1. Hear the latest updates from the best-to-date speaker line-up including leading arms exports control experts from: Italian Ministry of Foreign Affairs, UK Ministry of Defence, US Department of State, US Department of Commerce, Defense Technology Security Administration, UK Department for International Trade, Global Affairs Canada, Inspectorate of Strategic Products, Wassenaar Arrangement, French Ministry of Defence, BAFA: Federal Office for Economic Affairs and Export Control, Spanish Secretary of State for Commerce, Rolls Royce, Fokker Technologies, Leonardo, L3 Technologies, Honeywell, Rockwell Automation, DRS Technologies, United Technologies Corporation, Pillsbury Winthrop Shaw Pittman LLP, Belgium Engine Center, Nexter, and many more. 5. Benefit from the early bird offer of a £200 discount on the conference price, expiring 29th June. Special rates for military and government representatives and group booking discounts are available. Visit the website to download a complimentary copy of the event agenda and register online, alternatively please contact James Hitchen on +44 (0) 207 827 6054. 6. Confirmed attendees: Join and network with industry experts from: AERO Vodochody AEROSPACE, Amphenol Procom, CAE, Cargolux Airlines International, Fokker Technologies, Kongsberg Gruppen, MBDA, Microtecnica (UTAS), Moog, Paboban Studio Legale, Souriau, Swedish Armed Forces, Thales Netherlands, UK MoD, United Technologies Corporation (UTC), Saab, Pilatus and many more. 7. Meet and network with this year’s industry leading sponsors: Deloitte LLP and Pillsbury. Limited sponsorship opportunities are available, please contact SMi Group to book one of the remaining exhibition stands. Bookings made by 29th June will be eligible for a £200 early bird discount, visit the website for more details.